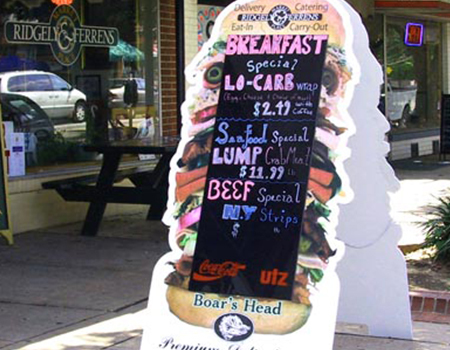 Yard Signs, Menu Boards, and A-frames are an inexpensive way to spread your message. Traditionally made from coroplast, these powerful and portable signs can be reused and placed in different locations time and time again. Design and production costs are not extensive. Add different bases, use indoor and out as needed.